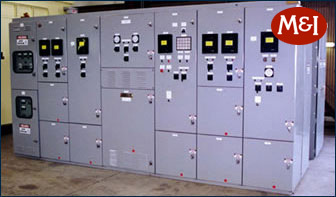 M & I Electric is firmly established as a custom 480 VAC Generator Control switchgear OEM, having served heavy industry since 1946. AETI has the ability to take complex electrical and instrumentation projects from concept to completion. In-house capabilities include engineering and design, fabrication, painting, assembly, busing, wiring, full system testing and start up.